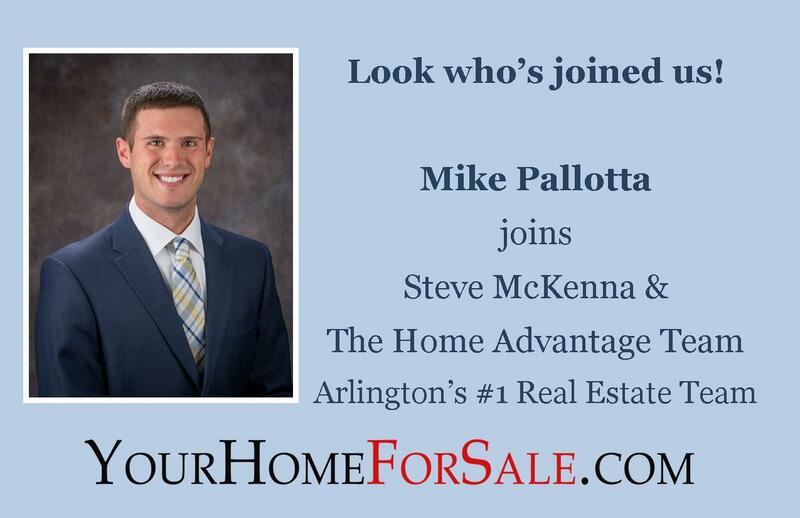 Please join us in welcoming Mike Pallotta to Steve McKenna & The Home Advantage Team! Mike is a REALTOR® who brings a hardworking attitude and new insights to the Arlington real estate market. Many Millennials and young working professionals are ready to make the move out of Boston, Cambridge or Somerville to a place with a little more space and room to grow for families. 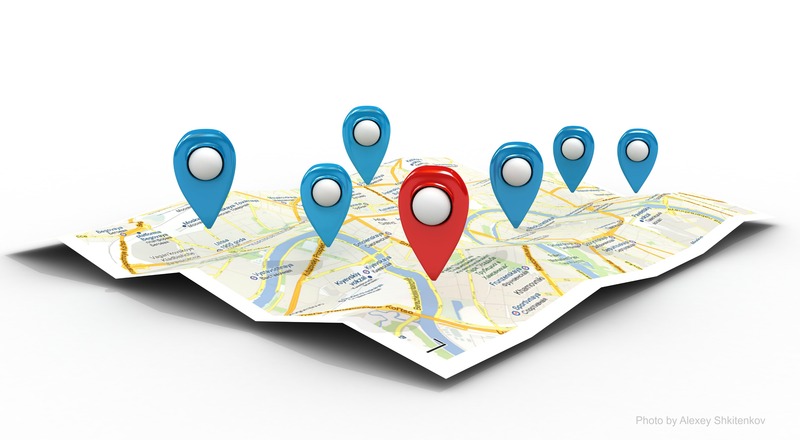 Arlington and nearby towns are often high on the list. According to the U.S. Census Bureau, Millennials have surpassed Baby Boomers as the nation’s largest living generation. Even with a persistent, lower-than-normal housing inventory where many real estate teams are shrinking, Steve McKenna & The Home Advantage Team continue to evolve and grow to accommodate client needs and a changing real estate market. Mike has the professionalism and dedication to client service that is necessary in this business, and as a Millennial himself, he brings another level of insight and expertise to the team. Mike is a graduate of Roger Williams with a Bachelor of Science in Biology. His experience includes a prestigious internship at the Boston Aquarium, a research assistant for the Bermuda Institute of Ocean Sciences, as well as an assistant at KAP Energy Group where he oversaw bids and proposals for clients, and communicated environments services to prospective clients. Please join us in welcoming Mike to the team. 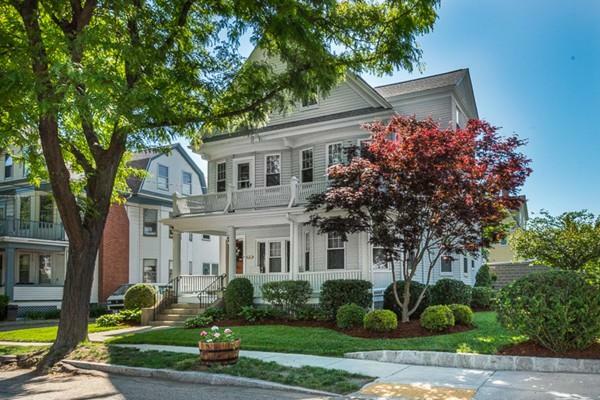 If you are interested in contacting Mike for your real estate needs, he can be reached via email at mike@yourhomeforsale.com, or by phone, 617-968-1431. Or, connect with Mike on social media: Facebook, Twitter. The Arlington real estate market is strong, inventory is low, demand is high, and the potential for selling your home for a great price and fantastic terms is unprecedented. Yun said sales would be even stronger if not for the extremely tight inventories of low and mid-priced listings. Arlington homes recently had the fewest average days on market before a sale in Greater Boston. Despite all this talk of low inventory, we have SIXTEEN NEW LISTINGS coming on the market over the next few weeks. Things are looking up. Whether you are upsizing, downsizing or just wondering what the value of your home is – there are many variables that come in to play. More than ever, it is vital to have someone who understands the local market and will work hard for you. Steve McKenna & The Home Advantage Team has been the #1 real estate team in Arlington for more than 25 years, and we have received numerous local and national awards for exceptional client service. Don’t go it alone – contact us today so you don't miss out a fantastic opportunity to find or sell a home in Greater Boston! Even if you’re not thinking of moving, these new homes will make you think twice. We have THREE fantastic new listings not to be missed! There is a little something for everyone - a simply spectacular single-family home abutting Menotomy Rocks Park, a fantastic multi-family which is a great investment opportunity, and a condo at Arlingotn's premier condo building! 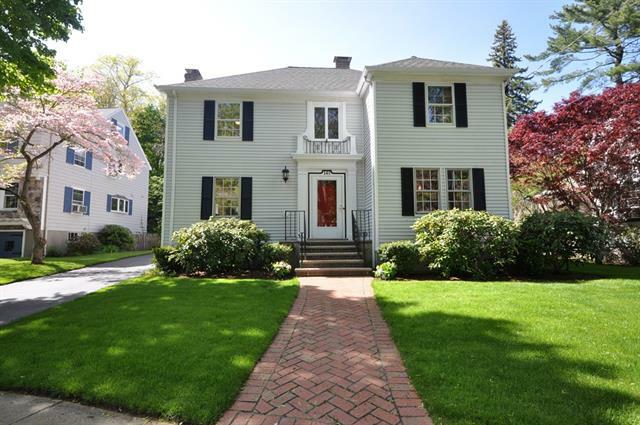 Friday, May 19th, 11:00 a.m. – 1:00 p.m.
Saturday, May 20th, 11:00 a.m. – 1:00 p.m.
A serene setting for a spectacular home in one of Greater Boston’s most desirable neighborhoods! Situated on the doorstep of Arlington’s Menotomy Rocks Park, this well-loved home in Jason Heights that is pristine and radiates warmth & comfort from the inside out. Step inside and discover arched doorways, vaulted ceilings, skylights, detailed moldings, and numerous built-in cabinets. There is a gracious living room w/fireplace, a formal dining room for family gatherings, a sun-splashed family room offering peaceful views of the park, a spotless & updated kitchen plus an office/mudroom. Upstairs boasts a lovely master with ample closets, en-suite bath 2nd floor laundry, two additional bedrooms and a 3rd floor space perfect for an office or extra bedroom & a finished basement with a beautiful stone fireplace for cozy winter nights. The idyllic, fenced-in and manicured yard with charming patio is a show-stopper! All of this convenient to Arlington Center, Mass. Ave. & Alewife Station. (MLS # 72166285) Click here for the full listing. What’s Nearby: Arlington Center shops and restaurants, Menotomy Rocks Park, Brackett School, Mass. Ave., Minuteman Bikeway, Alewife Station. Saturday, May 20th, 11:00 a.m. – 12:30 p.m.
121 Medford St is the place to be! This fabulous spot offers easy access to Mystic Lake, for outdoor activities such as kayaking, fishing, or just strolling along the Mystic River or go biking on The Minuteman Bikeway which is just around the corner. Looking for eclectic shops & restaurants, Arlington Center has them, and they are only a few minutes away. Public transportation is a breeze with many bus lines available to take you to a number of locations. Located on a corner lot with garage parking this home has lots of potential. Both units feature traditional layouts with 2 beds, 1 bath, eat-in-kitchen, semi open living room & dining room and office. Built-ins, fireplaces, and beautiful moldings can be found throughout. The upper unit also has a 3rd fl which has endless possibilities. There is a small yard that is perfect for barbequing. Great for owner occupants, investment, or possible condo conversion! (MLS# 72167198) Click here for the full listing. What’s Nearby: East Arlington and Arlington Center shops and restaurants, public transportation, Mass. Ave., Bikeway, Alewife Station, Mystic Lake, Mystic River. Sunday, May 21st, 11:00 a.m. – 12:30 p.m. Sunny fourth floor unit at Watermill Place! Rarely available, one of the largest two bedrooms in the building. French doors, off the living room, lead to a cozy balcony overlooking the babbling brook, lush landscaping and courtyard! Spacious bedrooms and ample closet space throughout. A wonderful master suite, in-unit laundry, and some recent updates make this a wonderful place to call home. Open concept living room and kitchen, which has been updated with breakfast counter, and space for a small table. There is additional storage on the same floor and garage parking (#19) with this unit. 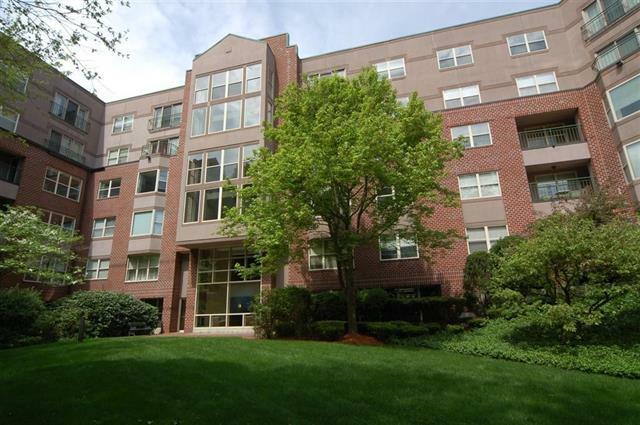 Located a short distance to Arlington Heights, The Minuteman Bikeway, and public transportation. This is a fabulous unit at one of Arlington's most premier buildings. Stop by and be dazzled. BONUS - 2 parking spaces. One in the garage (117 first space in garage nearest to elevator) and one outside (88). (MLS# 72166286) Click here for the full listing. What’s Nearby: Arlington Center shops and restaurants, public transportation, Mass. Ave., Minuteman Bikeway, Alewife Station. If you are a new buyer in the process of building or renovating a home, there are likely to be some surprises along the way. In this installment of Trending With Tracy #TWT, Tracy talks to developer David Serabian of Serco Painting & Restoration about the framed out mechanical stage of development. Here you can pick up some quick tips on what happens at this stage, and what decisions you should be prepared to make. In case you missed it, check out other helpful videos from #TWT on the website. Spotlight: Arlington Home of the Week! Temps are chilly but East Arlington condos are hot! 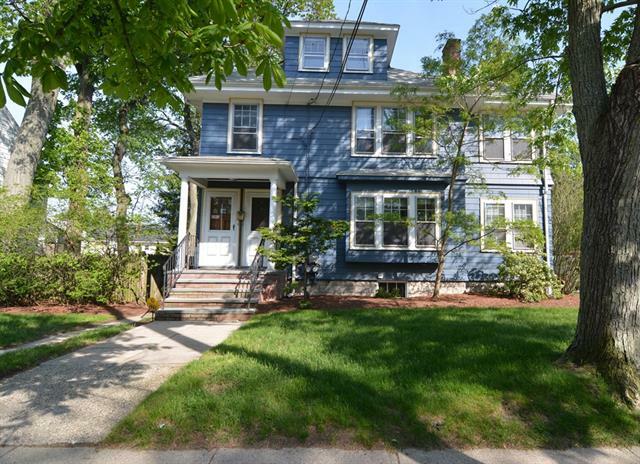 Come down to the open house at 59 Everett Street TODAY, 5/12 from 11am - 1pm or tomorrow 5/13, 11am - 1pm. See you there! Friday, May 12th, 11:00 a.m. – 1:00 p.m.
Saturday, May 13th, 11:00 a.m. – 1:00 p.m.
Picturesque 2 level condominium located on a lush corner lot in East Arlington. This unit boasts lots of natural light, gleaming hardwood floors, natural molding, and modern conveniences. A beautiful open family room greet you at the top of the stairs. There is a gas fireplace and mantel with beautiful detail in the woodwork. From there you enter the living room through the French doors or exit to the front porch. The dining room has a beautiful built-in china closet. Enter the kitchen and be wowed by the granite counters, stainless appliances, access to the knotty wood porch, and the 1/2 bath. Upstairs has 3 spacious bedrooms, the most interesting dual bathroom set up, and laundry. There is a patio, yard, garage parking, access to public transportation, and so much more! This is a great opportunity to move into Arlington and be settled for summer! (MLS # 72162912) Click here for the full listing. What’s Nearby: East Arlington and Arlington Center shops and restaurants, Mass. Ave., Minuteman Bikeway, Alewife Station, Mass. Ave. In case you missed it, Part I of Tracy's interview with Jay Tuli of Leader Bank talked about the importance of using a local lender for the home buying process. Did you know Leader Bank was founded in Arlington? And is the fourth largest lender in the state? Take a listen to learn how a community-driven bank can have a significant local impact. In Part II of the Interview, you will get insight into the direction of 2017 interest rates and what it means for new homebuyers, as well as what to expect from a top performing loan officer and how they can inspire people to move in the right direction.